It is true that people who cross the U.S.-Mexico border break the law. At the same time, I have learned how important it is to put this choice and this act into context. At the Kino Border Initiative, our ministry is to migrants in Nogales, Sonora, just across the border from its twin city, Nogales, Ariz. About 70 percent of the migrants we serve tell us that they cross for economic reasons. They literally cannot provide for their families in Mexico, Central America or Haiti. Families face a painful decision: wait many years to be considered for a visa or just cross the border without documentation in order to be reunited with loved ones. About 17 percent of migrants come because of separation from children, spouses and other family members, while about 9 percent have come fleeing violence both in Mexico and Central America. Nations have a right to secure their borders but, as Catholic Social Teaching reminds us, people also have the right to migrate if they cannot have a dignified life in their country of origin. Our current system keeps our neighbors from seeking a dignified way of life because of restrictions on work and family visas. It is also extremely difficult to seek and obtain asylum in the United States for those escaping criminal, political or state-sponsored violence in their home countries. Many of these migrants would love nothing more than to come to the United States legally, yet they have no way to do so in conformity with current U.S. immigration law. This reality reflects the brokenness of our immigration system. The fact is that for many people without professional skills or money there is no path to legal immigration. The broken system makes family unification an unnecessary trial. According to the U.S. State Department Visa bulletin, for example, the visa applications of unmarried Mexican sons and daughters of U.S. citizens before June 1, 1996 are still being reviewed. This means that these applicants have waited decades for a response to their application, due to the annual numerical limits the U.S. government places on this particular visa category for Mexicans. Families face a painful decision: wait many years to be considered for a visa or just cross the border without documentation in order to be reunited with loved ones. U.S. law keeps migrants from seeking and finding a dignified way of life, a desire which God has for all of us. It forces them into far reaches of the border where they risk being victims of robbery, assault and death on the desert. It keeps family members separated and prevents migrant men, women and children from finding safety through asylum in the United States. 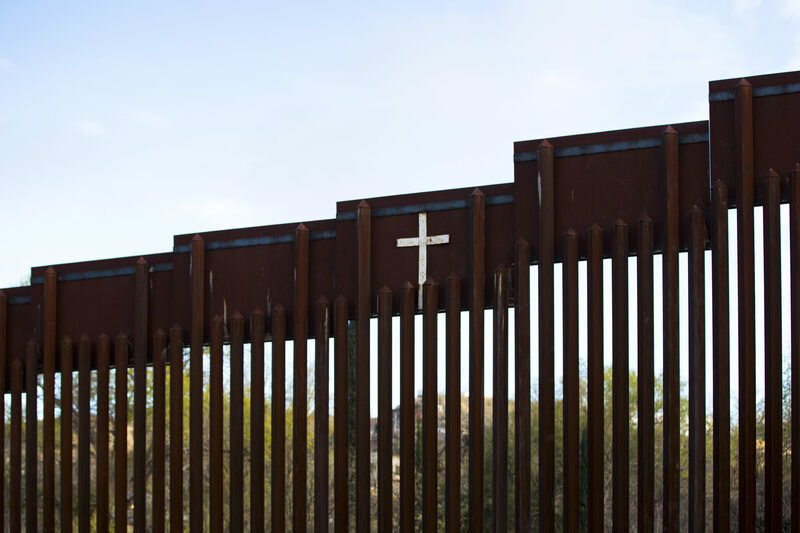 Archbishop John Wester, leader of the Diocese of Santa Fe, N.M., has said that it is not a question of whether or not migrants are breaking the law, but if the law is breaking them. Instead of focusing on enforcement methods that punish those who are living and working among us already—and their children—we should be turning our attention to reforming U.S. immigration law so that it respects migrant’s human dignity, a value we cherish both as Catholics and as Americans. I live in Arizona, am the daughter of two immigrants, and am familiar from volunteer work with a refugee agency with the pain, hardship, and sacrifice of immigrants. The recently publicized case involving the deportation of a woman with young children did not result merely from her presence in Arizona as an "illegal," but from a felony identity theft guilty plea, which, if committed by me or by anyone else in the country legally, would still be a serious felony with likely prison time. (A side note: we have been victims of identity theft, it is life-altering). That being said, enforcing deportation laws (which have been in force for dozens of years) selectively seems manifestly unfair. It is within a government's right to enforce its laws, but if one out of 20 people who buys fake SSNs or alien registration numbers is deported, it seems like more of a "making an example" gesture than truly accomplishing legal immigration goals. Our days of folks getting pulled over for failure to signal a left turn and then ending up in ICE custody are, hopefully, behind us (that was a locally-led effort). But as my mom told me in a recent recollection about her childhood in Nazi Germany when she and a few other friends (aged 12) stole some apples that were on the ground under a tree behind a school and had to appear in front of a court with her mother sobbing because of the very real likelihood of her being sent to a concentration camp for "stealing from the state," doing something "illegal" to stay alive is a different thing altogether. I do not recall anything in the U.S. Constitution that requires us to open our arms to save the world. Charity is important but there is a limit. If I recall Jesus' words correctly, He says "Give freely to anyone who asks. Freely it has been given to you. Freely you should give to others." I don't recall Jesus saying, " You know guys there are are limits to how much you should give to those who are in need," especially when those asking are in dire, life and death circumstances. Did the Good Samaritan say to the man beaten and robbed, " Here is some water and bandages, find someone or some place where they can take care of you?" True Christian charity gives without counting the cost. It creatively finds a way to meet the needs of the poor, the powerless, and those without a voice. "The Lord hears the cry of the Poor," the psalmist says. Apologists for illegal immigration try to paint it as a victimless crime, but the fact is that illegal immigration causes substantial harm to American citizens and legal immigrants, particularly those in the most vulnerable sectors of our population — the poor, minorities, and children. Illegal immigration causes an enormous drain on public funds. The seminal study of the costs of immigration by the National Academy of Sciences found that the taxes paid by immigrants do not begin to cover the cost of services received by them. The quality of education, health care and other services for Americans are undermined by the needs of endless numbers of poor, unskilled illegal entrants. Additionally, job competition by waves of illegal immigrants desperate for any job unfairly depresses the wages and working conditions offered to American workers, hitting hardest at minority workers and those without high school degrees. Please read this article, one of many that, while acknowledging some economic disadvantages to undocumented immigrants, explains the benefits to the U.S. This is especially true of the hundreds of millions of dollars being collected into the Social Security System that will ensure my retirement and yours not to mention disability and survivors' benefits. I do not advocate for open borders, that is not a realistic position for our nation. However, undocumented individuals in the U.S. who arrived at a predetermined year, MUST be given a path to citizenship, pay their taxes and feel safe and a part of this great woven tapestry that is the foundation of our nation. Frankly, without an amnesty and path to citizenship we will create an impoverished subculture that can only damage our nation further. Read the article. Thank you. The U.S. MUST not send out the message that we will reward illegal immigration with a path to citizenship. Law abiding citizens of the U.S. should not advocate for others who break the law. If you take out the emotions of this issue it is really just that simple. I do not believe Jesus said live lawless and give. There is private responsibility. Our laws are beautiful and provide the freedom for us to believe. Protecting the sovereignty of America with a lawful immigration policy is just. Yes the current immigration law is flawed. The solution is not to be lawless. The solution is for us to act privately to help. We also need to do our civic duty, get involved and change the law. Please explain to my six year old neighbor child who was raped by an illegal immigrant that it was the fault of the U.S. government's immigration policy and not the lack of border security that has caused all her and her family's suffering. Obviously, you can't explain this to a traumatized child. Adults, however, might be able to acknowledge that any large group of people, Americans included, will have sinful, criminal types mixed in with them. This child was every bit as likely to be raped by a white naturalized citizen as she was by an illegal immigrant. Actually, statistically speaking, she would be less likely to be raped by an illegal immigrant even when you take proportionate numbers of each group into consideration. Anecdotal examples are seldom representative of the larger picture pertaining to any issue under consideration. Let's be clear. The latest "memos" from the administration are simply cruel and harsh enforcement against anyone who has successfully migrated across U.S. borders and is living peacefully and under the radar in communities all across America. All they ask is for a chance to live without fear. Now the word has gone out - hide, flee, protect anyone you know or are related to. The crush of another 10,000 ICE officers and 5,000 more border agents plus the pressure on all local police and sheriff's offices all across the country is more and more like a Nazi purge. Only a halt by the supreme court can stop this now! The solution to the immigration problem Social Justice poses is to CHANGE THE LAW. Social Justice does not command governments....it commands individuals. Self help is never an acceptable remedy for breaking the law. The good Jesuit author creates an alleged " injustice/justification argument" by referring to applicants who have had to wait years for consideration to immigrate. The question this raises is not the injustice imposed on those applicants but rather the injustice of those who broke the law, jumped ahead of the lawful applicants and now believe they are entitled to stay. In short they seized a privilege that others should/would get and have deprived the law abiding people of their position. If we Catholics and similar thinkers cannot muster enough support to get the laws changed to affect this aspect of Social Justice, it does not mean we are therefore entitled to ignore those laws or justify the breaking of those laws. Catholic Social Doctrine espousing the right to open borders is basic utopian nonsense as the ever widening cracks in the European Union are demonstrating. It is never going to happen prior to the Second Coming. Catholics who are dissatisfied had best be prepared to contribute both their time and the money to ameliorate the injustices they perceive and to create an expanded network of like thinkers who vote. At the moment these forces are de facto split by the anti abortion issue: find me a pro immigration open border group that is anti abortion. Figure how the necessary support of the social justice democrats will ever agree to support anti abortion legislation. Even the sophistry of the Jesuits will not get this conundrum even facially resolved or be sufficient bridge this gap. "The solution to the immigration problem Social Justice poses is to CHANGE THE LAW." Whose law? If we, as socially conscious Christians believe that the human being is our most precious commodity, why should United States Law be changed to encourage export of that country's most precious commodity. The capital "C" Catholic Church in America does little exhortation to condemn corruption and cronyism in Mexico, Latin America or South America. Sin of omission in my most naive St. John's Filmstrip Catechism analysis of sin. I had no where else to live and wanted to live in a home that has a chapel. Would you let me stay ? so that people no longer felt compelled to migrate to the United States. just walk into the classroom and asked to be taught ? Our Immigration policy is a disaster. Poor Americans or Poor Immigrants. What is the solution, if there is a solution ? It is legal to hire migrant workers. The legal argument is hollow. The solution is not to deport or to ignore the problem. There must be transparency and this issue demands a global response. There are children suffering while we have these precious debates. That yearly check to the charity won't do anymore. The Gonernment of Mexico likes the situation just the way it is....In 2016 there were approximately $25 billion US sent back to Mexico by Mexican migrants and immigrants in the US. That amount is greater by almost double what Mexico took in from revenues for its foreign sales of Mexican oil! Mexico encourages migration and emigration to the US for this very reason. By the way while it is legal to hire Mexican migrants , it is not legal to hire illegal immigrants. .
"It is true that people who cross the U.S.-Mexico border break the law. At the same time, I have learned how important it is to put this choice and this act into context." This hypocrisy it what gets to me. While admitting that illegal crossers are breaking the law, the context it's being put to is that somehow we owe it to them because 26% of these people are reuniting families or fleeing violence. What about the other 74%? How many are criminals? How many could be terrorists or terrorist sympathizers? What mayhem, damage or loss of lives could that 74% wreak upon the citizens of this country? "Nations have a right to secure their borders but, as Catholic Social Teaching reminds us, people also have the right to migrate if they cannot have a dignified life in their country of origin." Which is it? You can't have both. Nations DO have a right to secure the borders because their only true function is protection of it's citizens. It would seem to me that that not only covers physical, bodily harm, but economic as well. Part of that is limitations on the influx of immigrants. I don't believe they have a right to migrate. They do have a right to a dignified life, but they don't have the right to invade another country and lessen our right to a dignified life in our own country. Why doesn't this and other nations put pressure on these countries that aren't allowing their citizens to have this dignified life? You mentioned Haiti, and the plight there is one that angers me to no end. Seems like every few years, after another earthquake/hurricane, this and other nations dump billions to their so-called leaders, but the situations of the common people never seems to get any better. More than enough money and aid has been sent there to improve everyone's lives. Why don't our leaders, who are so free with OUR money, make sure that the people that need the help the most, get that help? Why is nothing done to the predators that fleece rescue/humanitarian efforts, making millions off of others misery? Helping others to lead a dignified life should never be sold as America just needs to accept everybody at all times without question, which is what this article seems to imply. Our laws do not need to be set up to respect a right to migrate here that doesn't and shouldn't exist. Short-sighted are the political, religious and any other type of so-called leaders who insist we bring tens of thousands of these people here. What I don't understand is why isn't Mexico and other central American nations being called to account for their failure to maintain a rule of law for their people? If you tell me you're getting away from violence, I do understand but why aren't these governments regarded as accountable for ending the violence in their nations? This is a big omission in the conversation. Peter Maurin was an illegal immigrant.